Opinion, Persuasive, and Argument Writing Chart & WriteSteps School Earns Top Writing Scores! Morenci Elementary Earns Highest Writing Scores in County! WriteSteps congratulates Morenci Elementary for scoring the highest in 4th grade writing for the 2012/2013 MEAP test in Lenawee County, MI. Morenci Elementary improved its 4th grade writing scores significantly from 25 percent for the 2011/2012 school year to 60 percent in the 2012/2013 school year. Mary Fisher, principal at Morenci Elementary school, attributes the improved MEAP writing scores to the adoption of WriteSteps into the schools writing curriculum. Out of Michigan’s 1,531 schools tested last year, Morenci ranked number 1,296 in the state. This year they are now ranked number 379 in the state of Michigan for 4th grade MEAP writing scores. WriteSteps is committed to reaching classrooms around the nation to improve student writing skills and is thrilled to have contributed to the academic successes of the students at Morenci Elementary School! We would love to hear YOUR success stories! Contact Anjilla Young at [email protected] to share your real-life success stories since adopting WriteSteps into your curriculum. 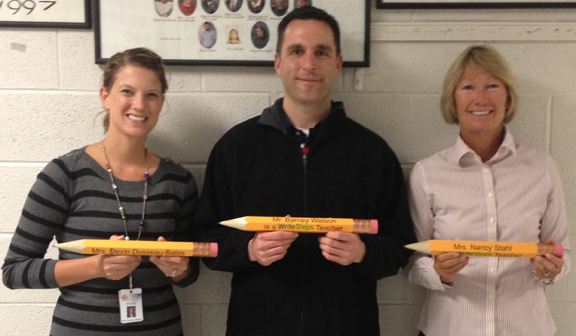 Your school/classroom/students may be recognized in an upcoming issue of The Inspired Writer e-Newsletter and we will send you a giant pencil to use in your classroom/school. If you haven’t adopted WriteSteps into your curriculum what are you waiting for? Click here to watch an introductory video of our award-winning, research-based, 100% K-5 writing and grammar program that fosters confident teachers and strong K-5 writers. WriteSteps Honored with eLit Gold Award! WriteSteps is the recipient of the 4th Annual eLit Gold Award in the Education/Academics/Teaching category. 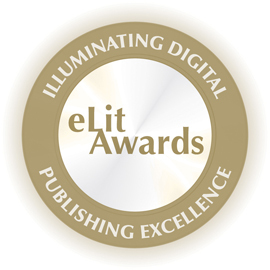 The eLit Awards are a global award program committed to illuminating and honoring the very best of digital publishing. The awards program is open to all members of the electronic publishing industry. The award highlights eWriteSteps, our innovative, online teaching portal. We understand the importance of integrating technology into elementary classrooms. eWriteSteps provides teachers access to our daily lesson plans, Prezis, videos of modeled WriteSteps lessons, parent resources, and student visual aids. Click the following link to read our blog titled The Advantages of eWriteSteps in Elementary Classrooms. In the March edition of The Inspired Writer we discussed the importance of using common language and the differences between opinion, persuasive, and argument writing. Click here to read the article if you missed it. 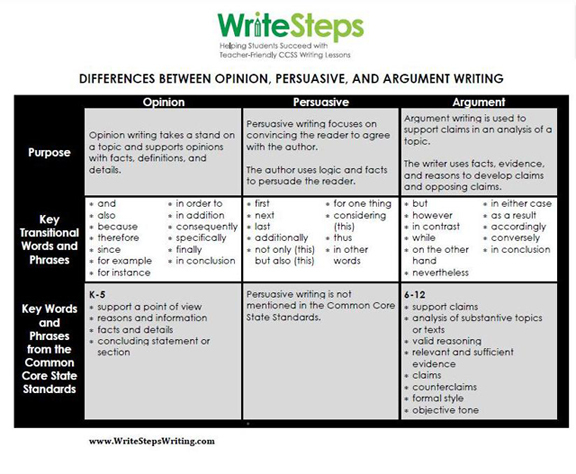 Arlynn King, our Coaching Director, and Denise Dusseau, our Curriculum Creator, worked together to create this chart to clarify how the Common Core K-5 writing term, “opinion writing,” differentiates itself from the terms argument and persuasive writing. Don’t forget to submit your TeacherStar videos! It’s not too late to submit videos of your modeled WriteSteps lessons for our TeacherStar contest. So far we have received outstanding videos from teachers around the nation and look forward to viewing more! The deadline for submission for the 2012/2013 school year is June 21, 2013. This is an opportunity for you to show off your teaching craft and make an impact outside of your classroom nationally. Devin Dusseau-Bates, Barney Watson, and Nancy Stahl submitted videos for eWriteSteps. They all teach at Britton Deerfield Elementary School and are seen showing off their “I am a WriteSteps Teacher” pencils!. WriteSteps welcomes Stephanie Brown, Awareness Ambassador for the Lone Star state, to the team! 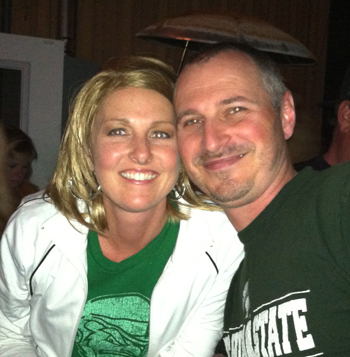 Stephanie taught elementary school for 14 ½ years and brings her wealth of knowledge in teaching writing to the team. Stephanie says that throughout her teaching career she used various writing programs and WriteSteps was the most extensive and focused writing program she found. She loved that it saved her valuable prep time and it gave her students practical experience incorporating grammar skills into their writing. “I look forward to making many contacts throughout the Dallas/Fort Worth area, and getting WriteSteps to schools in order to help motivate students to become the best writers they can be,” says Stephanie. Outside of work, Stephanie enjoys spending time with her family and settling into their new home. She also enjoys biking, running, and reading! WriteSteps will exhibit at the Massachusetts Elementary School Principals Association’s Spring Conference in Hyannis, MA. Steve Higgins, Awareness Ambassador, will be there to answer your Common Core writing questions! While there, you can sign up for a free trial to eWriteSteps, which automatically enters you into a drawing to win a new iPad!